1. Fiber reinforcement: glass fiber, carbon fiber reinforced PP,PA,PBT,ABS,AS,PC,POM,PPS,PET,PPO,PSF,LCP,etc. 2. Ploymer blending :bleding of PC+ABS, PA+ABS,CPE+ABS,PP+EPDM,PA+SBS,etc. 3. Incorporation of fillers :CaCO3,Tale,TiO2,carbon black filled PE,PP,or EVA etc. 4. Cable Compounds:cable sheath,cable insulation compounds of LDPE,HDPE,LLDPE,MDPE;radiation-crosslinkable compounds ,optical fiber protection compounds ,heat-shrinkable polymer compounds. 6. High Concentration Color Masterbatches: PE,ABS,PS,EVA,PET,PP etc. With high concentration of pigments and other procrssing aids. 7. Masterbatches with Flame-Retardants:PP,PA,ABS,EVA,PBT etc.with flame retardants and other additives. 8. Special Functional Masterbatches :Masterbatches with anti-static,anti-abcteria ,or other special functional fillers. 9. Masterbatches for Degradable Polymers:PP,PE,PS etc. 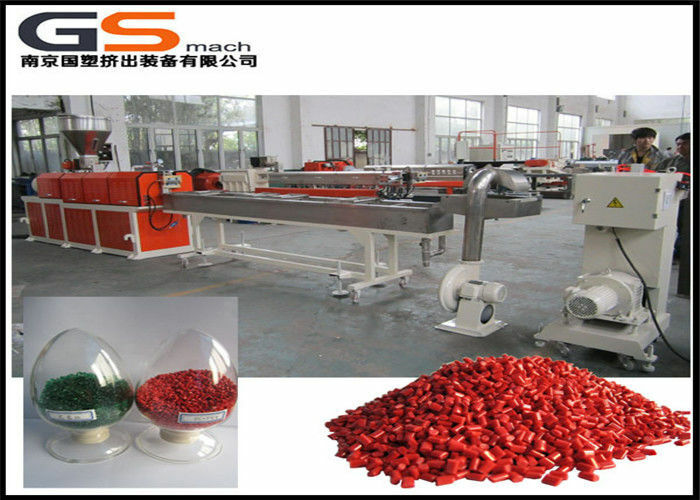 Blended with high concentration of starch and other processing aids.